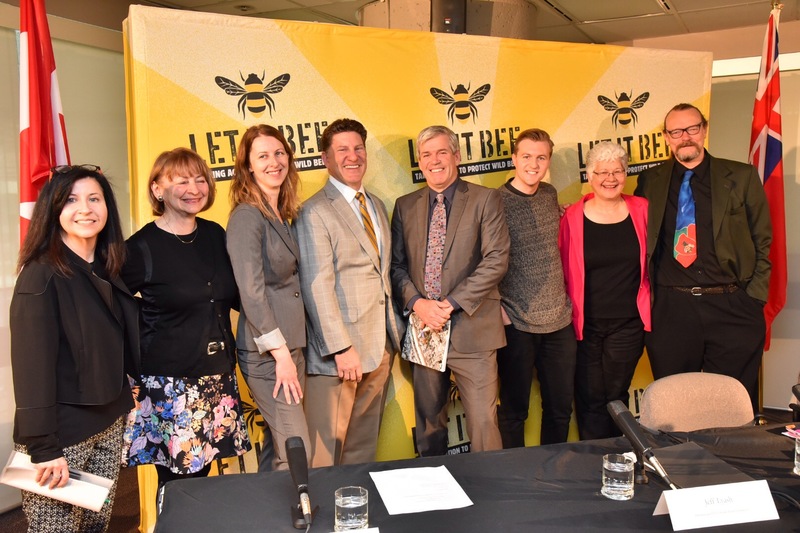 May 5, 2016 (Toronto, Ontario) In response to global concerns about declines in pollinator biodiversity, Friends of the Earth, with the support of Ontario Power Generation, is launching its “Let It Bee” campaign. More than two-thirds of the food crops we depend on benefit from pollination by native bees, honey bees and other pollinators. “Let It Bee” is among the most ambitious public outreach campaigns in Friends of the Earth’s forty year history. Stage One of the campaign calls for dramatic changes in commercial landscaping and domestic gardening and lays out the top actions to take. The campaign starts in Ontario where some of the most severe habitat loss has taken place and rolls out over May to July. “We must act now to protect the diversity of wild bees “nature designed distinct roles for each wild bee species to play in pollinating plants and we need them all. But they’re up against big stresses like habitat loss, climate change, pesticides and diseases,” says Beatrice Olivastri, CEO, Friends of the Earth Canada. “Habitat loss is just as critical in cities and towns as in the countryside. It’s time to dramatically change how we garden and landscape to make sure we protect, not kill off, wild native bees. The Rusty-patched bumble bee, once abundant in southern Ontario is now almost extinct and officially designated as endangered. Six more bees have declined to such an extent that scientists have advised the federal Minister of Environment to take steps to protect them. There are over 800 confirmed species of wild native bees in Canada with little proper monitoring. It’s a worrisome situation. Canada has three areas called “biodiversity hotspots” with the greatest diversity of bee species. Southern Ontario is in one of these hotspots. These same areas are also those with the most significant habitat loss and intensive agricultural production. J. Scott MacIvor at University of Toronto Scarborough Campus studies wild bees in urban spaces. He says, “there are simple yet important changes everybody can make to help support wild bees. Urban parks and gardens designed and maintained to protect wild bees help to sustain native flowering plant diversity and food crops in cities". Stage Two of the campaign will roll out in June to make sure we get better census data for wild bees: the first annual Great Canadian Bumble Bee Count will occur between June 1 to July 15, 2016. With the dramatic loss of wild habitat for native bees, Friends of the Earth says it’s up to citizens in cities and towns to rally to the cause to save wild bees. Friends of the Earth Canada is the Canadian member of Friends of the Earth International, the world's largest grassroots environmental network campaigning on today's most urgent environmental and social issues. The Bee Cause is its priority campaign for 2016. Ontario Power Generation is Ontario’s largest clean electricity generator. OPG supports province-wide, conservation focused, family-friendly actions and education initiatives that get people involved in protecting and conserving biodiversity.